K'JIPUKTUK, HALIFAX - We will soon find out what happens when local residents say no to clearcutting in their community. The community in question is Round Hill, just a fifteen minute drive from Annapolis Royal. It's a lovely spot. Nestled along the Annapolis River, you immediately sense that it is rich in history. And there are lots and lots of trees. 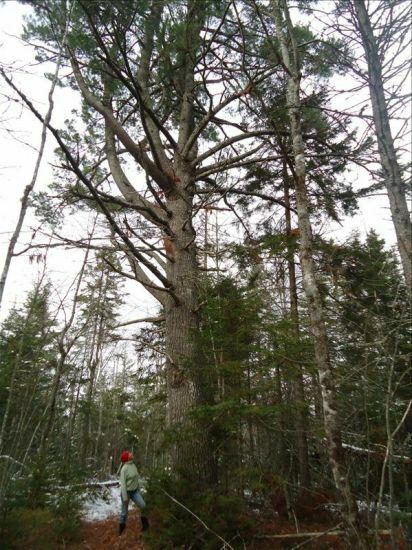 Some of the woodlots in Round Hill were acquired by the province as part of the Bowater acquisition in 2012. And now a forestry company wants to harvest all the trees. 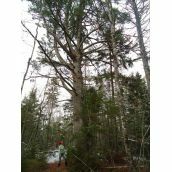 Maps published by the Department of Natural Resources (DNR) indicate that the lands will be clearcut. A group of local residents is mobilizing to put a stop to it. Petitions, talks with DNR, and lobbying of their local MLA (who happens to be the Premier of the province) are all part of their strategy. 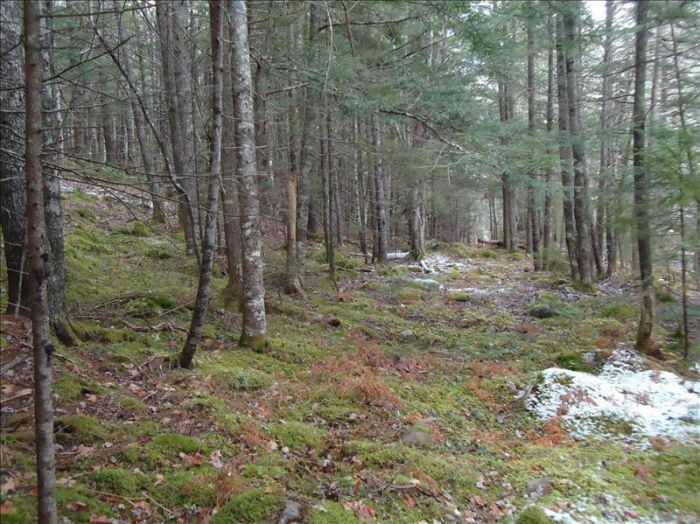 For Tim Ruggles, a member of the group whose property borders one the woodlots, it is a no-brainer. 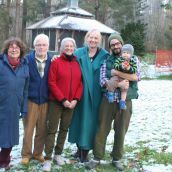 “For the couple of thousand dollars that they would get from harvesting these lots, they essentially remove any economic value from the land for another 100 years. And they take away any future use of these lands for any other purpose,” Ruggles says. Concerns go way beyond aesthetics or a knee jerk not in my backyard attitude, say members of the group. 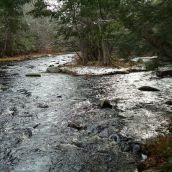 For one, the Round Hill River watershed would be negatively affected if clearcutting were to occur there, the local residents argue. 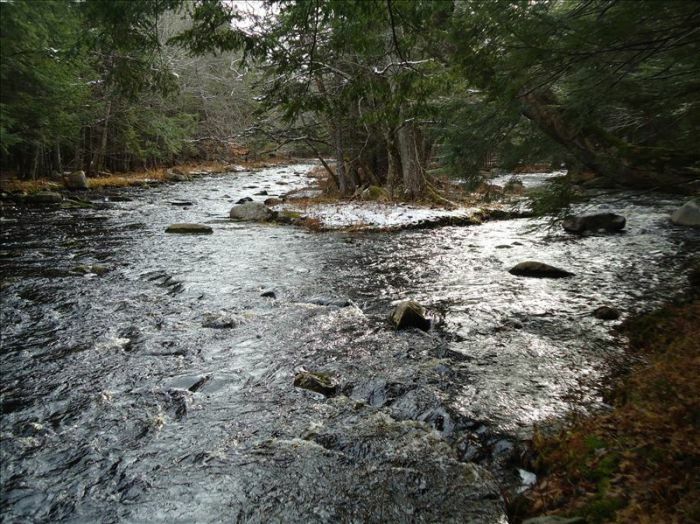 Once a prime salmon river, there is now some evidence of a recovery, Ruggles tells the Halifax Media Co-op. Also, the woodlots are too close to the community, the group believes. Any traditional use of the lands, be it hiking, hunting, fishing or snowmobiling, would end. Wildlife would be pushed out. 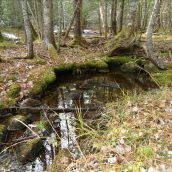 They also worry that erosion and water table changes resulting from the clearcutting activities could affect the gravity-fed spring water systems that provide potable water to many households in the community. And then there is a concern that is bigger than the sum of all these issues put together. “What we are up against is really a culture change,” says Elisabeth Bachem, another member of the group that wants to stop the clearcut. “There is a groundswell of people who feel that it is time to look at things as a network and recognize how things are interdependent,” she says. Many agree. An on-line petition that the group started acquired hundreds of signatures in no time. “People are saying that they have seen clearcutting, and they are fed up with that forestry practice, even if it isn't in their own backyard,” Bachem says. This may well be how ultimately the battle lines are drawn, Matt Miller believes. Miller is the forestry coordinator for the Ecology Action Centre. Miller looks at what transpires in Round Hill as a bit of a test case of DNR's willingness to accommodate what local people want to see happen. The Round Hill folks may be articulate and particularly well organized, but they are certainly not the only ones, Miller tellls the Halifax Media Co-op. “I get calls on a regular basis from people all across the province who for whatever reason see something happening in the forests, and immediately become concerned. They feel that places they care about or have a connection to are under threat,” Miller says. “A lot of the forestry practices and clearcutting in particular just do not suit the value set that people have for forests that they care about. 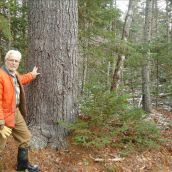 Most people support the notion of a forest industry, but they just don't want that to occur at the expense of a standing and intact forest,” he believes. But it is an uphill battle, Miller thinks. 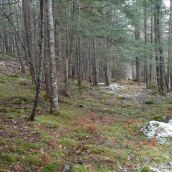 An earlier effort by the group to protect the Round Hill woodlands from clearcutting was unsuccessful. 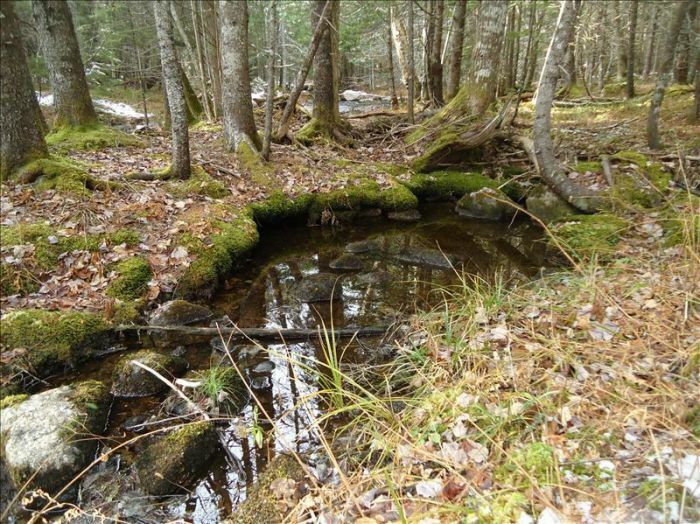 After the province acquired the Bowater lands the group submitted a proposal to restore approximately 900 acres of land in the Round Hill area to an uneven-aged, mixed-species Acadian Forest, while allowing small-scale selective logging. That proposal didn't go anywhere, says Stewart Fotheringham, a local organic farmer who uses work horses to harvest logs. “It seemed a little bit like they made it a bit too complicated so that people would be discouraged,” Fotheringham adds. That comment doesn't surprise the Ecology Action Center's Miller. But the community group continue to fight back. Many people in the community have submitted their objections to the latest clearcut threat to DNR in writing. A paper petition in a coffee shop in nearby Annapolis Royal steadily gathers signatures. Next Monday the group is meeting with Premier Stephen McNeil, who happens to be the local MLA. And with 600+ signatures the online petition is taking off beyond the group's wildest expectations. Each time somebody signs, an email is triggered to go out to Premier McNeil and to Natural Resources Minister Zach Churchill. So far Churchill isn't concerned. 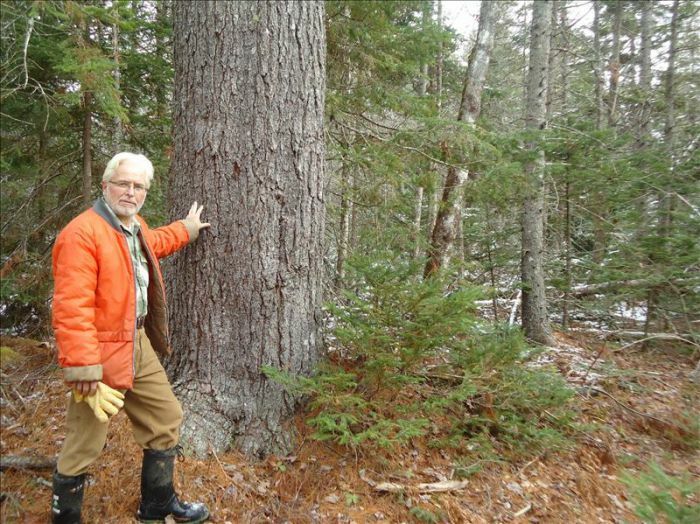 When faced with similar objections to clearcutting practices earlier, he told the Chronicle Herald that you can't please everybody and biodiversity considerations need to be balanced with economical and social factors. "Our goal has been obviously to approach this sort of issue through a lens that encompasses all three of those, and I really think that we’ve done a good job achieving that balanced approach,” Churchill said earlier. Maybe the Round Hill residents will change his mind. 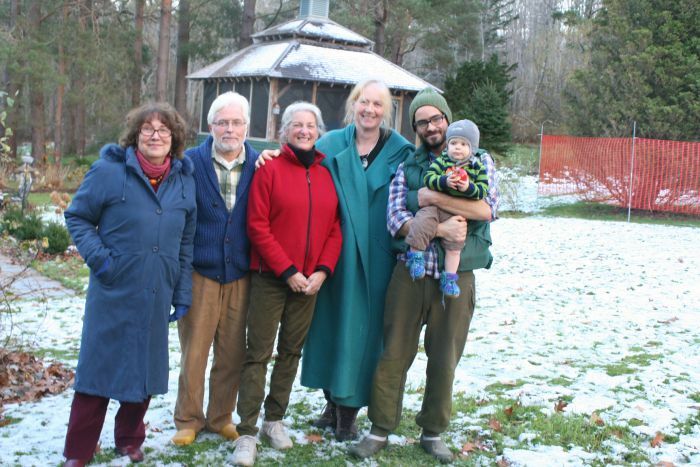 A decision on the fate of the Round Hill woodlots is expected in early December. Submitted by williamvega on Mon, 11/24/2014 - 01:56. Such a positive post after so long that made me really happy. If people all around the world start contributing towards nation like this, we no longer used to beg in front of any official or government.